Meatloaf has come a long way since my childhood. Turns out you can put things besides just beef in it (veggies help!) and you can top it with things other than just ketchup. If only our parents had known that . . . This Bourbon BBQ Meatloaf takes advantage of all the modern meatloaf tips and tricks, and it completely delivers. The meatloaf is tender and juicy, sliced thick, and it also makes a great leftover sandwich the next day. I recommend adding a little of the Bourbon BBQ glaze to the meatloaf right as it finishes baking, but also serve plenty on the side for people to drizzle on their slices. Meatloaf has a technical problem. Ground beef tends to dry out when it reaches higher temperatures, but you also need to cook a meatloaf for a long time because it’s so thick and takes a while to cook all the way through. This means that many meatloaf versions just end up being sad dry cubes. The solution to dry meatloaf isn’t actually to add sauce, it’s to add vegetables! As they get hot, they release moisture, and keep the texture of the meatloaf moist. Yes, finely chopping and cooking your veggies takes more time, but the results are worth the extra work! Adding the sautéed veggies to the mixture along with a binder and fat means your meatloaf will be juicy and tender! Some recipes call for pouring some ketchup on your meatloaf and calling it good. I actually like that classic meatloaf technique just fine, but sometimes a change is nice and this Bourbon BBQ Glaze is the change I need. While the meatloaf bakes, I recommend simmering the glaze on the stovetop for a few minutes until it reduces enough to coat the back of a spoon. Then let it cool slightly and it’ll thicken into a nice sauce. I top the meatloaf with some of this near the end of baking, but also reserve some for drizzling on individual pieces. It definitely takes this meatloaf to another level! I do not really believe in freezing meatloaf. It keeps fine in the fridge for a few days and is even good cold (meatloaf sandwiches! ), but if you try to freeze the whole loaf then it just turns into a huge block and is hard to thaw. If you desperately want or need to freeze this meatloaf, slice it up and wrap each slice individually before freezing. Thaw the slices in the fridge overnight and then reheat them either in the microwave for 1 minute on high or (my preference) in a skillet over medium heat with a drizzle of oil until warmed through, 4 to 5 minutes. Or, if you are looking for an easy-to-freeze meatloaf option, check out my Meatloaf Bites recipe, which freezes much better than a full loaf! LOOKING FOR MORE GREAT MEATLOAF RECIPES? 2 Cook the vegetables: Add chopped onion, carrot, celery, red pepper, and garlic to a food processor and pulse until minced. Transfer the veggies to a large skillet with olive oil. Cook over medium heat for 5 to 6 minutes until veggies are soft and most of the liquid has cooked out of them. Let veggies cool briefly before combining with meatloaf ingredients. The cooler the mixture, the easier it will be to handle; plus, if it's too hot, you might accidentally end up with scrambled eggs when you add the eggs in! 3 Mix and shape the meatloaf: Add the cooked vegetables to a large bowl with all the other meatloaf ingredients and mix well with your hands. Then press the mixture in a 9x5 loaf pan. 4 Bake the meatloaf: Bake the meatloaf at 350°F for 60 minutes, or until the internal temperature of the meatloaf reaches 160°F. 5 Make the glaze while the meatloaf bakes: Add glaze ingredients to a small saucepan and bring to a simmer over low heat. Simmer for 4 to 5 minutes until mixture forms big bubbles and is thick enough to coat the back of a spatula or spoon. It will continue to thicken as it cools. 6 Glaze the meatloaf: When the meatloaf has about five minutes left of baking, add 1/4 cup of glaze to the top of the meatloaf and let it finish cooking. 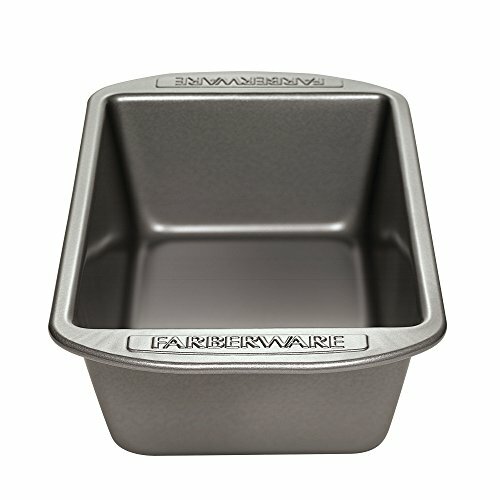 7 Serve: Let the loaf cool in the pan for 5 minutes, then unmold and serve (or serve from the pan). Serve the rest of the glaze on the side for people to drizzle onto their slices. Leftovers can be kept in the fridge for a few days. If you want to freeze this meatloaf, I recommend slicing it and freezing individually wrapped slices, rather than freezing the entire loaf, which will be difficult to defrost later. Reheat slices in a medium-heat skillet with a drizzle of oil until warmed through, 4 to 5 minutes. Hello! All photos and content are copyright protected. Please do not use our photos without prior written permission. If you wish to republish this recipe, please rewrite the recipe in your own unique words and link back to Bourbon BBQ Meatloaf on Simply Recipes. Thank you! I used half beef and half pork and steel cut oats instead of bread crumbs, and Evan William’s bourbon with Sweet Baby Ray’s bbq sauce. I thought we would all founder! This was a hit! The meatloaf was moist and delicious and the bourbon bbq sauce elevated it to a whole new level. Will definitely make again and again! I love the sauce! Such a simple thing, but I never thought about putting bourbon in it, thanks for the tip! Also, a tip from my Dad from when I was a kid (long ago) is grating a potato and a carrot into the ground beef. Turns out SO moist. You don’t see or taste them, it just makes it great!